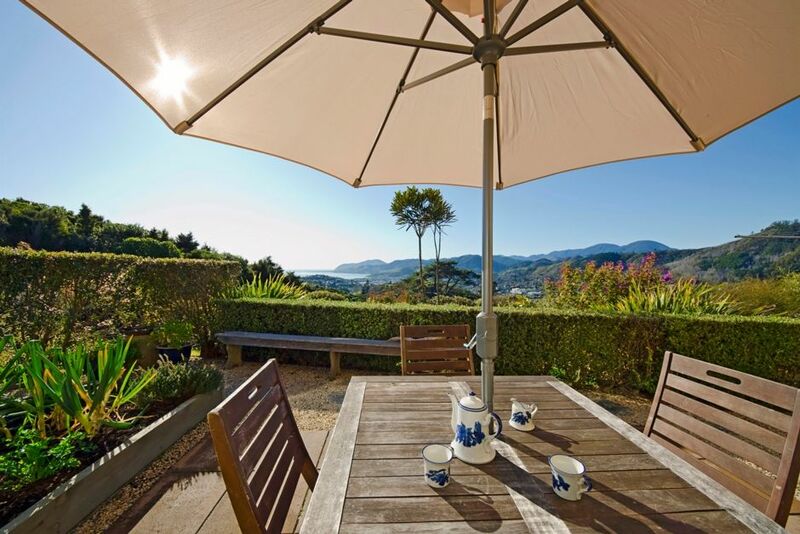 Situated in the perfect position for superb all day sunshine and 360 degree panoramic views across beautiful Tasman Bay, The Richmond Ranges and Nelson City, North to the Haven and sparkling Tasman Sea! This home is ideal no matter what time of day - enjoy breakfast in the sunny East facing dining area, sunbathe or BBQ on the Northern patio and enjoy incredible sunsets to the West! Beacon Villa is a quality home, well appointed and superbly equipped for your comfort. There are 4 bedrooms, 2 living areas, 2 bathrooms and 3 toilets with off-street parking for 1 ~ 2 vehicles. Amenities are extensive and include air-conditioning, spa-bath, DVD, gas BBQ, games, music player, full laundry with dryer, hair dryer, iron and ironing board, free local phone, MySky with Sports and free WiFi internet. No party or venue use. No Smoking. No pets. General Terms andamp; Conditions apply. A bond/card-authority will be required. This is a personal home made available to guests on an occasional basis. This allows you access to a superb andamp; well-equipped home with the trade-off that storage may be required for owner belongings. Slight problem on arrival due to construction next door. Slight problem on arrival due to construction next door. Was dealt with and disruption to our stay was minimised.